Rather than fixating on risk when setting out contracts, clients can benefit from thinking more about their values and how they are perceived as an organisation, according to Andy Quincey. If this and other views of the HKA Principal seem somewhat heretical to some professionals involved in contracting, it is because they are informed by experience beyond the mainstream. Andy’s highly successful track record in procurement spans more than 25 years in a variety of sectors such as automotive, retail, property, and not least, Europe’s biggest construction project, London’s Crossrail. It was at Transport for London (TfL) – as Group Procurement Director, and then Director of Commercial until 2016 – that Andy bought into its vision of ‘the informed client’. At TfL, Andy led the transition onto NEC as a contract form and around the time a number of public sector clients moved to NEC on infrastructure projects, including the London Olympics. He believes there are lessons that are apt for Australia, especially amid a construction boom when suppliers can pick and choose. “Clients should think about the contract form and what it represents. NEC says a lot about a client in terms of its plain English, a much more collaborative approach, and consistency. It sends a lot of signals to the marketplace,” he explained. This is a plea to see the bigger picture, not a dogmatic view, he stressed. “I’m an advocate, not a zealot.” When a client does write a bespoke contract, he’d urge that, having agreed the risks allocation, liquidated damages and other terms, they review the contract as a whole and put themselves in the boots of the contractor or supplier. In return, he brings what he acknowledges is “a slightly different perspective”. With an MBA from Oxford (with distinction), Andy embodies the ethos that you need more than just traditional business skills to be successful. His early career – following a teenage apprenticeship in a steel factory – was steeped in the Total Quality Management culture of the motor industry with Rover and later, Honda, where he managed relationships with capital equipment suppliers. 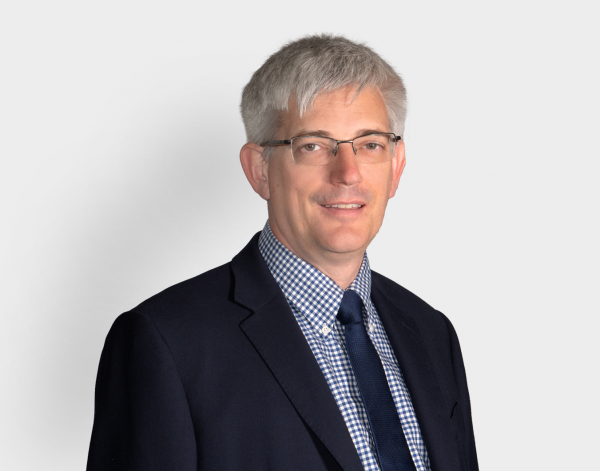 He has also worked for British Aerospace and in fast-moving consumer goods and retail, mainly in procurement roles, with responsibility for a variety of projects from IT to building programmes. During his nine years at TfL, Andy managed some of Europe’s most complex projects, including London’s congestion charging scheme, and was part of the executive team that delivered the 2012 Olympic and Paralympic games. Leaving behind its £4 billion annual procurement budget, he directed a major estate re-organisation for a major UK Government Department, before acting as chief executive of a county council, stabilising this financially distressed local authority. This diverse experience colours Andy’s opinions on infrastructure projects, innovation and productivity, and what he sees as a limiting professional divide in many organisations. A fellow of the Chartered Institute of Procurement and Supply, he believes that knowledge gained in manufacturing, asset management and production services can inject greater commercial awareness into projects, complementing the expertise of colleagues who have followed the more traditional chartered surveyor route. “I’m not advocating replacing QSs, but to have more of a mix in terms of commercial outlook is really important. And the same on the other side – QS skills are needed in asset management and for long-term issues,” he added. The barriers in construction and heavy engineering to fresh perspectives take various forms, and questioning them may be controversial. “In the infrastructure sector, and rail in particular, there’s too much made of the safety case,” he said. Safety is critical in food manufacturing too, yet the sector has greater space for innovation and new thinking. The HKA Principal refers back to TfL’s contracting approach and the six-pillar model of procurement endorsed by the UK’s Institution of Civil Engineers. Contracting needs to be consistent with the organisation’s values too, and it builds the brand. Contact Andrew Quincey or view our Advisory services page.